In 2017, Kayla Filoon was volunteering at ACCT Philadelphia when a dog caught her eye. 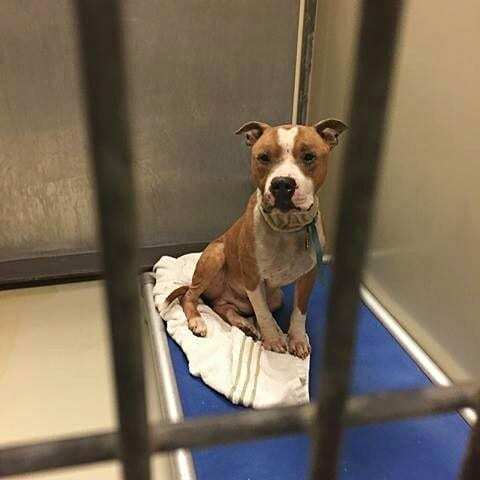 The dog, Russ, was a pit bull, and he was so emaciated she could see most of his bones. Unlike the other dogs in the shelter, Russ didn’t bark or whine. He sat in the back of his kennel, too scared to move. 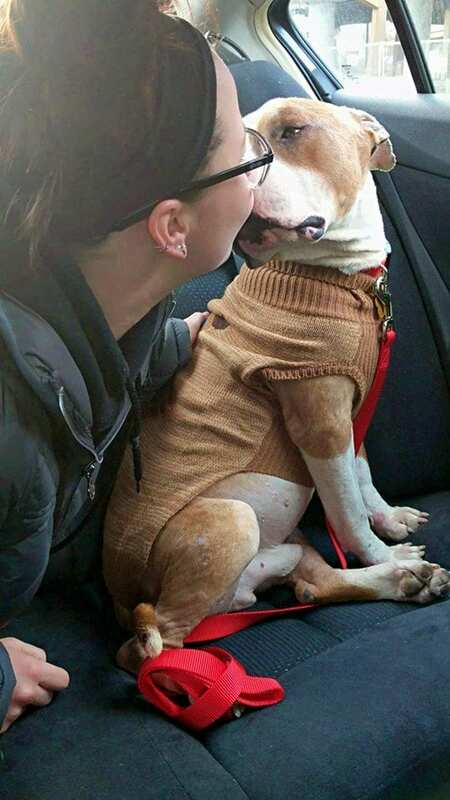 Kayla took Russ for a 45-minute walk, and she quickly fell in love with him. The dog never barked, and he loved being outdoors. It was clear to Kayla that Russ was in danger. ACCT Philadelphia is a kill shelter, and the shelter was overcrowded. In the weeks before Russ arrived, the shelter had euthanized 15 dogs. Kayla worried Russ would be next. Kayla quickly decided to adopt Russ. She knew it was completely impractical—she was in college and lived with six roommates. But even though the timing wasn’t great, Kayla couldn’t leave Russ to die. And so, she officially adopted him and brought him home. Russ quickly settled into life at Kayla’s home. Kayla’s roommates all loved him—it was like he had six moms. While Russ liked spending time with Kayla’s roommates, Kayla was the true love of his life. 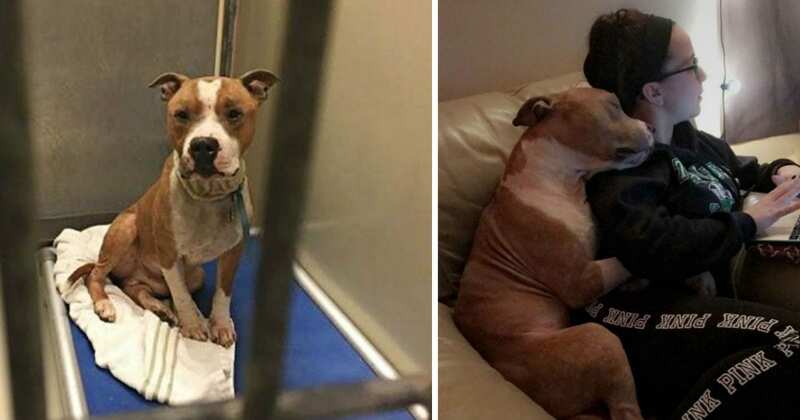 He wanted to be with her at all times, and he was so grateful she rescued him. 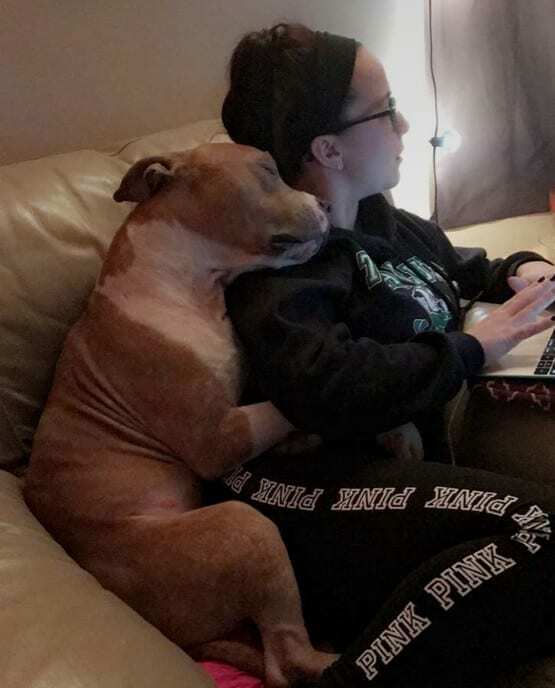 About two weeks after Kayla adopted Russ, he showed Kayla how grateful he was by hugging her while she did her homework. Kayla’s aunt, Jamie Holt, took a photo of the heartwarming moment and posted it to Facebook. It quickly went viral, and it was shared more than 60,000 times. “And THIS right here people is why you should adopt!!! My niece and her newly adopted ACCT Philly dog of less than 2 weeks. Talk about being grateful. There are just no words to truly describe the sweetness in this photo,” Jamie wrote on Facebook. 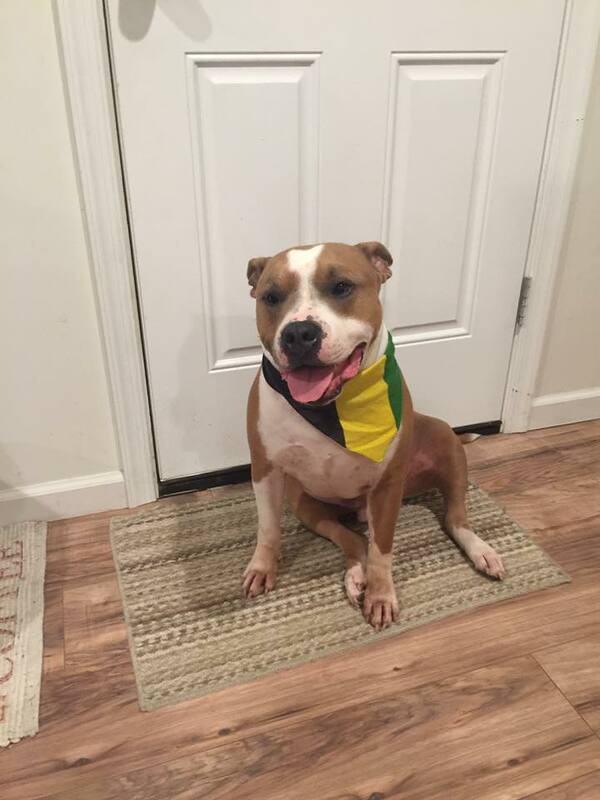 In the year since Russ’s photo went viral, he has grown into a joyful, loving dog. Russ loves everyone he meets, and he loves playing outside. He still spends most of his time with Kayla, and he always sleeps in her bed. 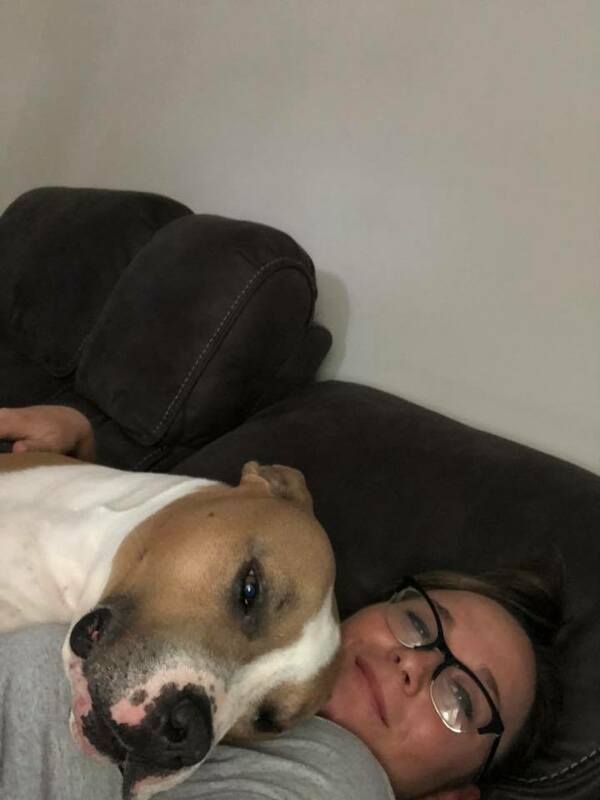 Kayla is so happy that she adopted the sweet dog—she can’t imagine her life without him. Kayla continued volunteering at ACCT Philly after adopting Russ. In March 2018, she met a pit bull named Carson. 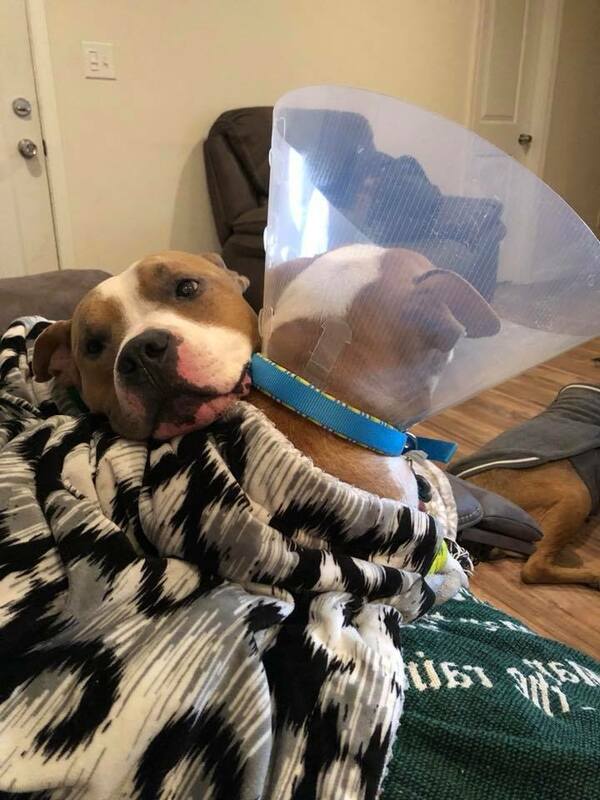 Carson was injured and scared, and he needed a good home. And so, Kayla decided to adopt him too. Russ and Carson immediately bonded. Russ was gentle with Carson, and he showered him with love. Now, Russ and Carson are inseparable. They both love napping in the sun, and they enjoy racing each other on their walks. They also both love their mom more than anything—now, both pups sleep in bed with Kayla! 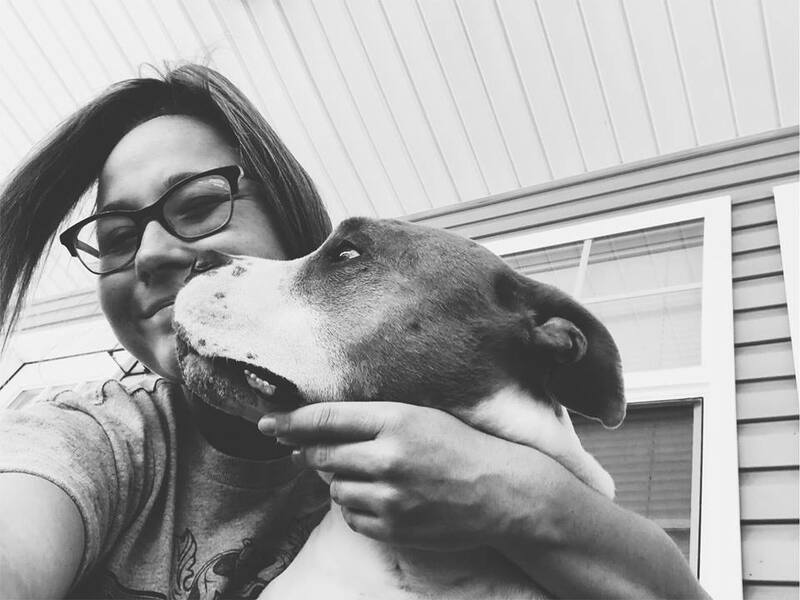 Kayla hopes Russ’s story will show people that pit bulls are misunderstood. “My little adoption story is certainly special to me and to Russ but it is not unique. Many adopters can say the same thing about the little loveable Pittie mix that they gave a much needed and much deserved home to. 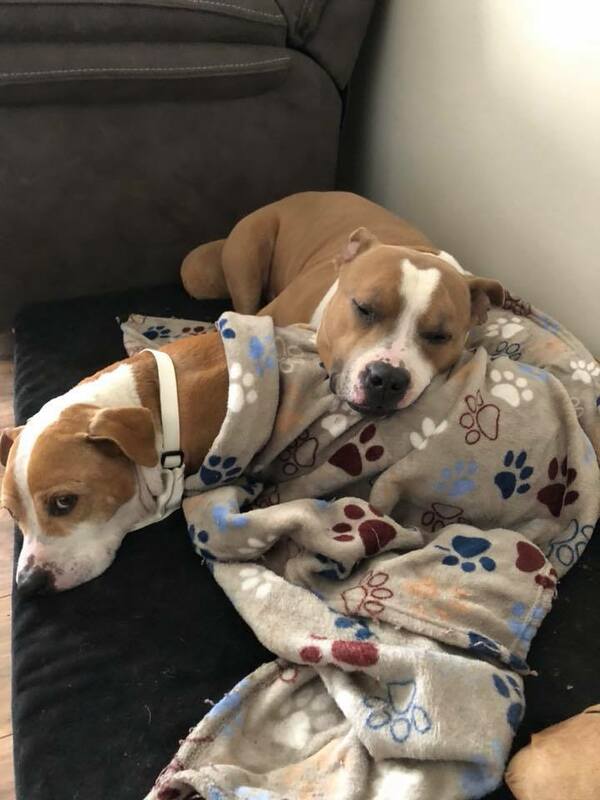 These dogs are not broken…We hope Russ’s story will inspire more people to adopt from local shelters and view Pit Bull mixes as the loving, happy, loyal and devoted creatures that they are,” Kayla wrote on Facebook. Russ and Carson have found a wonderful home with a mom who loves them more than anything! If you’d like to see more cute photos of the lovable pups, check out Russ’s Facebook page.